Bernard Coleman is the global head of Diversity and Inclusion at Uber Technologies, Inc. In this role, Bernard drives the diversity and inclusion programs and his efforts span the boundaries of Uber working in close collaboration with people-program areas like human resources, talent recruitment, analytics, marketing, communications, and branding in an effort to enhance diversity throughout Uber. Prior to joining Uber, Bernard led the diversity and human resources initiatives at the Hillary Clinton for America campaign as chief diversity and human resources officer—the first ever in U.S. history for any presidential campaign for either political party. Bernard helped to develop the campaign’s institutional planning in support of the mission and goals as well as assessing the strategic diversity indicators and standards that ensured responsibility and accountability for achieving diversity, multiculturalism and cultural competence within the diversity and inclusion matrix. Bernard previously served at the Democratic National Committee for six years as the deputy chief diversity officer and the director of human resources, helping modernize the DNC’s human capital operations—moving from transactional to tactical. As part of the modernization, he helped to promote greater pay equity, diversification of staff, the creation of safer spaces, greater cross-cultural competence across the organization culminating in fuller partner relationships, and enhanced multiculturalism. 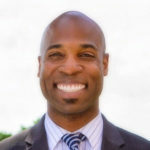 Bernard has also held senior level roles at the Democratic Congressional Campaign Committee, the Society for Human Resource Management (SHRM), and the Government of the District of Columbia. In addition, Bernard has written for Forbes, Catalyst and SHRM, and his insights have appeared in media outlets such as Nasdaq Government Clearinghouse and the Huffington Post. Coleman holds an M.B.A. in international business from Trinity University, a B.A. in psychology from Hampton University and an Executive Strategic Diversity and Inclusion Management certification from Georgetown University. Bernard is also a graduate of the University of Virginia’s Thomas C. Sorensen Institute for Political Leadership. Named one of the 2018 Black Enterprise Top Executives in Corporate Diversity and one of the Top 50 Multicultural Leaders in Technology in 2017 by the National Diversity Council, Bernard was also honored as one of Hampton University’s inaugural Forty Under 40 honorees as well as The Network Journal 2017 40 Under Forty Achiever honoree. Bernard resides in the San Francisco Bay area with his wife, Edda Collins Coleman, and two daughters.